The majority of Americans are pretty clueless when it comes to car repair and maintenance. If you’re in this same boat, it can be hard to know when you need to call a professional to take a look at an issue with your car. Nobody wants to spend more than they have to on their vehicle. But, they also don’t want to end up stranded in the middle of nowhere because they didn’t bother to get an issue checked out soon enough. To avoid finding yourself in this position, read on to learn about ten common signs that mean you need help from a mechanic. Where there’s smoke, there’s fire. Or, at least an over-heated engine. Your car should never be emitting an excessive amount of smoke, except on really cold days. Excess smoke is typically a sign of an oil leak. This is especially true when it’s accompanied by a burning smell and/or the presence of a black residue on your rear bumper. When it’s left unattended, an oil leak can quickly turn into engine damage, so, if you notice smoke, you need to get it looked at as soon as possible. You should also pay attention to the color of the smoke coming from your car. If it’s white, it’s typically a sign of overheating and an issue with the radiator. No matter what the cause, respond to blue smoke by pulling over and calling a tow truck. There are a number of reasons why your car might start pulling or slipping to the left or right while you’re driving. You could have dirty brake fluid or a stuck wheel cylinder. Your brake pads may also be wearing unevenly. Whatever the reason, you should talk to a car repair professional as soon as you notice the issue. You need to have full control of your car, especially when you’re braking. Strange noises are another bad sign. At best, they typically mean your car needs new transmission oil. At worst, they can signify the need for a costly repair that’s the result of mechanical wear. Whining is typically caused by a loose belt. Loose belts can cause overheating and battery issues if left unchecked. If the noise from your exhaust is louder than usual, this could signify a hold or crack. These are typically easy to fix, but they can cause your exhaust pipe to fall off if they’re not taken care of. If your car is idling and you hear these noises, your engine could be misfiring. The cause could be a need for new spark plugs, but it also might indicate a more troubling issue with the engine. Scraping sounds often indicate that something on the underside of your car has come loose and is dragging on the ground, or on another part of the car. Either way, you’re incurring a lot of damage by continuing to drive through the scraping. If you hear squealing when you step on the brakes, this is typically a sign that you have worn out brake pads. This is usually a pretty easy fix, but it needs to be taken seriously. After all, nobody wants their brakes to give out mid-trip! Crunching gears usually mean that there’s an issue with fluid or another part of the gearbox. This part of your car gets a lot of wear, so it’s common to need replacements. Just get them taken care of sooner rather than later. Slipping gears is one of the scariest things you can experience while you’re driving. There are a number of reasons why your gears might slipping, including low transmission fluid or broken transmission bands. The gears themselves may also be worn out. Whatever the reason, if your gears are slipping, you need to take your car to a mechanic, or to a dealer like Park Mazda. They’ll figure out what’s happening and make sure you’re safe while you’re on the road. Pay attention to the color of the fluid leaking from your car. If it’s red and sweet-smelling, you probably need to have the transmission fluid looked at. If it’s green, on the other hand, that’s a sign that your car is leaking coolant. If you don’t take care of this, your car’s engine could end up overheating. When the check engine light comes on, you need to get your car to a mechanic. There are a number of reasons why the light might be on, from a loose gas cap to a serious transmission issue. Because your check engine light can indicate issues both minor and serious, some drivers decide that they’ll risk it and keep driving. Don’t play fast and loose with your car! It’s better to get things checked out and find out it’s a minor issue, rather than waiting until something really bad happens. Grinding and shaking is usually a sign of transmission problems. This happens more often in cars with automatic transmissions. Don’t try to tackle your car’s transmission yourself. Take it to a car repair shop. Remember, it’s better to pay a professional to than it is to accidentally cause more damage by trying to save a few bucks and handle the repairs on your own. If your car is unresponsive when you try to change gears, this is another sign that you may have an issue with your transmission. A lack of responsiveness could mean that you have too much or too little fluid, or it could be something more serious. Let a mechanic have a look so you know for sure what the problem is. If your car is going through oil faster than usual, you might need to have something replaced. 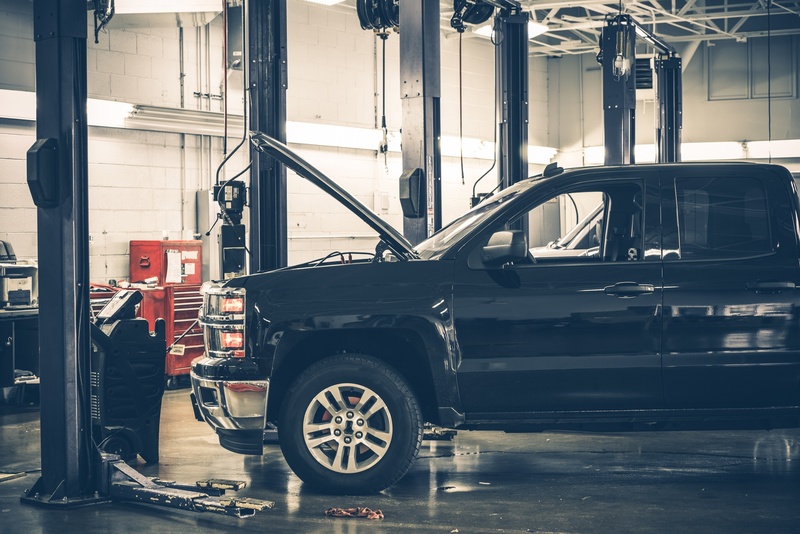 Whatever the issue, a mechanic will get to the bottom of it and make sure your car is running as efficiently as possible. If you speed bumps are more noticeable or your car is suddenly riding lower than usual, head to a mechanic. These issues typical signal a problem with the car’s suspension. If you get them taken care of soon, they’re usually not too expensive or difficult. However, the longer you wait, the worse the damage will be, to your car and your wallet. Do You Need Car Repair? Have you noticed any of these signs with your car? If so, you need to seek out car repair as soon as possible. Is your car not worth the repair costs? You may want to consider getting cash for it so it isn’t stuck taking up space in your driveway. Whether you decide to sell your car or get it fixed, you’ll probably need help getting around town. Check out this article for tips on finding a good transportation service in your area.